When you try to rank post in the search engine or take a good experience form visitors. 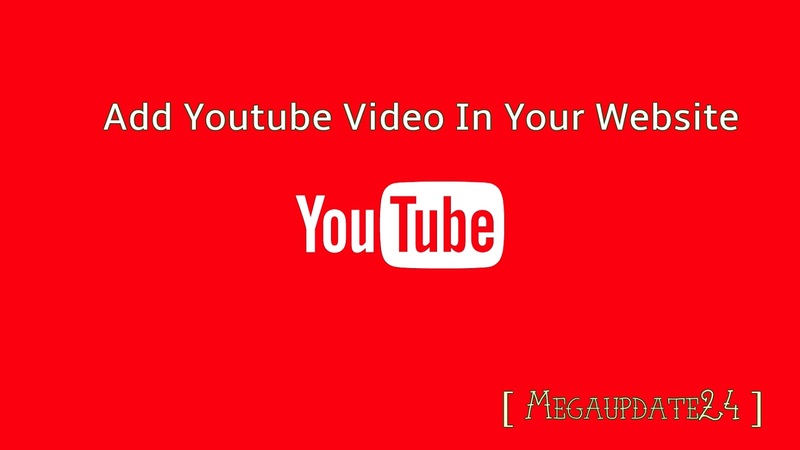 Then you should add a related video to your post body of your website or blogs. For SEO matter video can be viral your post to visitors. So, every blogger should know how to add youtube video to blog's post body. But most of the person is new on the blogging platform they don't know about it. For that reason, in this post, I will be showing you a step by step guide is how to use youtube video on your blogger or blog's post body. YouTube is the world largest video blog site. Also, it's a google product. Is there no one site available in online cab be compare with youtube. So, when you try to use any kind of video on your website or blog then you can use youtube video. Even all youtube video is free for you to use or watch. Now let's see how to use youtube video in blogger blog's post body. For adding the video you just need follow some rules. These appear below. Firstly you go to the youtube video which you want to share or show on your post body. Then click on the share option, second click on embed option like below screenshot. Then copy the Embed Video code. When you finished copying your embed code then returned to your blogger post and click on the HTML part from the left corner. Then paste your copied codes and turn into Compose option. Then you will notice your video in nicely added to your post and that's it. Hopefully, all of you are clear about how to add youtube video to your blogger blog's post body. It's actually quick and easy tricks. Now use any youtube video with your related niche to your post body in blogger blog platform. If you have any question about it ask me via the comment section. Share this post on social media with your own friends to like the related topic.